Once Upon a Time: Wait, is [spoiler] really dead? Well, another beloved character on Once Upon a Time just ended up in the Underworld, though fans shouldn’t freak out just yet. Warning: If you’ve yet to watch Sunday’s episode and would rather avoid spoilers, read no further. “Her Handsome Hero” opened up with Emma having a dream and/or vision of Snow getting attacked (and possibly killed) by some type of beast. The vision slowly started to come true, which Regina interpreted as Emma attempting to work out a specific issue. Emma translated this as feeling major guilt for dragging all of her loved ones to the Underworld — especially Henry — rather than going alone. She is worried that someone will die, which will then make Emma feel even more guilt. Obviously, Snow tells her that’s ridiculous, because Emma didn’t force anyone to accompany her. After coming to that realization, Snow, Emma, Regina and Hook ended up facing the beast by hitting it with both Regina and Emma’s magic, but it didn’t turn out quite like they expected. The episode came to quite the surprising close when they stumbled upon Ruby, aka Red, in Hades’ world. Yes, she is the so-called “beast.” Snow looked to Emma and said that she doesn’t think her vision was a warning or an issue she was working out but a way to come to Red’s rescue. So, what does this all mean? Is Red really dead? Should fans start weeping for yet another character’s demise? It’s hard to say for certain because the story of how Red ended up in the Underworld hasn’t been unveiled. That said, based on the promo for next Sunday’s episode, it looks like viewers may learn where and what Red’s been up to and whether she’s truly dead. There’s a good chance Red is very much still alive and was dragged to the Underworld some other way. I mean, look at how everyone else from the Overworld traveled there. Until I hear the words “Red is dead,” I’m going to remain positive about her fate. 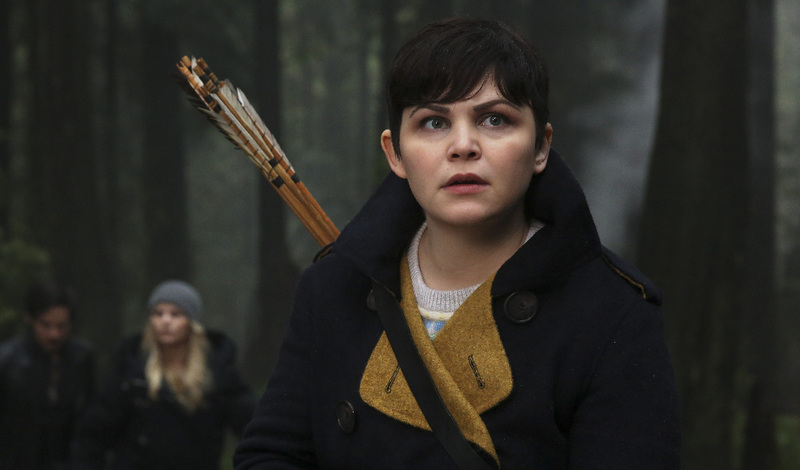 More: Once Upon a Time: Will leaving Neal behind come back to haunt the Charmings?